English electronic musician Clark visited Amoeba Hollywood recently and picked up some vinyl reissues and limited edition releases, many of which were quite dear to him, such as the debut album by Krautrock super-group Harmonia. Comprised of members of the influential groups Cluster and Neu!, Musik Von Harmonia was a big influence on Clark's record Body Riddle. "It's really warm, slowly evolving Krautrock with lots of synths," he tells us. Clark ruminated on each record he chose during our interview and found something insightful to say about them all. English electronic artist and producer Clark (né Chris Clark) began making music as a teenager, creating experimental works on homemade instruments. He would go on to attract attention from Warp Records while performing at one of their parties under the moniker Chris From St Albans. (Clark grew up in St. Albans, England.) He subsequently signed to the label, releasing his debut LP, Clarence Park, under the name Chris Clark. The premiere First Fridays concert of 2016 at L.A.’s Natural History Museum will feature headliners The Hood Internet Feb. 5. Tickets are $18 for non-members of the museum, and tickets grant access to the museum after hours starting at 5 p.m., with a guided tour, scientist-lead discussions and DJ lounge, while admission to the concert hall is available on a first-come, first-served basis. Music starts at 9:15. Amoeba will be on-hand with a table and gift certificates for sale — buy a $20 gift certificate for only $10 (limit two per customer). We’ll also have a raffle and fun swag to give away, so come by and say hello! 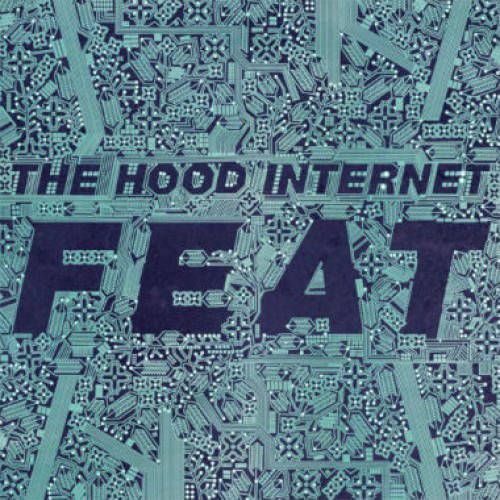 Chicago duo The Hood Internet formed in 2007 with the goal of mashing up hip hop tracks and have since gone on to produce original music on their album, FEAT. Live, the band mashes up classic hip hop tracks in an oft-comical manner. The show also features modern funk artist Boulevards, the alter ego of Raleigh, N.C.-born Jamil Rashad. Rashad’s multigenre appreciation and art-school background influences his approach to funk while he still delivers the party jams. Nonprofit organization Give a Beat is launching with a free event featuring live music, a DJ workshop and more. A Positive Spin: Remixed takes place Saturday, Oct. 24 at Impact HUB LA in Downtown Los Angeles. It begins with an electronic music production/DJ workshop for youth, featuring gear and instruction from Scratch DJ Academy, from 3-6 p.m. Registration for the workshop is free. Immediately following from 6-9 p.m. will be a live performance from Pleasuremaker (aka Joey McGuire) of Afrolicious along with Sandra Izsadore, who was Fela Kuti’s muse and mentor, and Gabriel ‘Gato’ Ferrer on percussion. There will also be presentations from Alex Simpson, associate director of The Innocence Project, and exonerated football player Brian Banks. Amoeba Hollywood has purchased one of the finest record collections that I have ever set eyes upon in my record store days (and that's about 13,870 days)!! Here we have obscure gems aplenty, many I've only seen perhaps once in my life, but here they are, side by side with records I've never ever seen before, and ones previously only legendary. In other words, a wonderful, rare collection!!! Yes friends, I have negotiated a mutually satisfactory agreement that has allowed Amoeba to obtain the personal record collection of Mr. Carl Stone himself. Yes, THAT Carl Stone, composer and electronic sound artist extraordinaire, 21st-Century cultural icon, and truly a connoisseur of recorded sound in the left-of-center areas of many genres, and they are all here in the collection for sale in Amoeba's Hollywood store beginning the weekend of October 11 & 12: Avant Garde, Electronic, Musique Concrete, Experimental, Renaissance, Baroque, Medieval, Classical, New Music, World music, Jazz, No Wave, New Wave, Power Pop, Punk rock, Post-Punk, Industrial, and various "roots" musics. All are original 1st pressings of mostly small, independent labels with loads of private pressings and imports. Just, like, two words: mind blowing!! This array of breathtaking LPs reflect Carl's usual pattern of being dead-center, ground zero, really at the apex of "what's happening" in music, never more true than in the pre-CD days of this collection...a forward-thinking and quite wide-minded person's...one that doesn't come along very often. Don't think for a second that Professor Stone hasn't been feeding a constant, perhaps life-sustaining hunger to hear for himself the latest, most creatively interesting and challenging music (and in his case, even the sound of a big-piped sports car or machinery), from all over the world and across all genres. I presume he always has, and this collection of vinyl reveals that fact in every liner note and cover spine. Collectors like this are searchers, never quite satisfied with what is, what was, or even what "shall" be, barely trusting word of mouth and the writing on the walls. We collectors shake down anything that could offer that special chord combination, the emotional rush, the personal spirituality button pushed, or a memory bubbling over God-knows-how and why. Often these elusive platters make just a brief appearance in our airspace, only to become a faded memory, "Yeah, I saw that once at Amoeba…", or more likely, a 3 a.m.-tossing-and-turning-I'm-going-back-first-thing-in-the-morning-I-hope-it's-still-there angst-filled moment. Carl looked high, low, in, out and around for significant records. Carl got beaucoup promos sent to him. Carl had people hold things for him. Artists sent Carl their records out of the blue. Carl impulse-bought. Good record labels covered Carl. Carl special ordered records. Carl travelled the world and bought records as meals for his soul.